Katherine is a graduate of The Florida State University (Bachelor’s of Science in Political Science and Master’s of Science in Demography) and Florida International University College of Law. 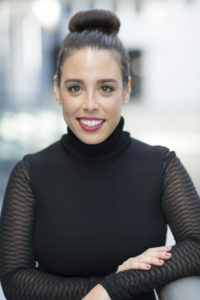 Focusing on food and drug law, Attorney Katherine Giannamore handles a wide range of regulatory issues, including ingredient reviews, label reviews, reviews of marketing (websites, brochures, video advertisements), removals from import alerts, reconditioning requests, responses to warning letters and a number of other services. In order to help individuals establish compliance with federal laws and regulations at the outset, she assists with reviews of products and marketing materials for many different FDA-regulated industries, including all types of foods, dietary supplements, cosmetics and over-the-counter (OTC) drugs. Additionally, Katherine provides registration and listing services, among many other regulatory and legal services. In addition to heading the Firm’s FDA practice, Katherine oversees the Firm’s title and real estate closings. Ms. Giannamore has been practicing Food & Drug Law for the past several years, since her initial employment in the field as a law student. During Katherine’s time in law school she clerked and went on to work for a mid-sized law firm in downtown Miami, where she learned the intricacies of food and drug law, being one of a select few working in the firm’s FDA practice group. It was this experience that led Katherine to start her own firm focusing on helping clients achieve regulatory compliance, while providing cost-effective legal assistance to a wide range of clients. After five years of practice, Katherine went on to become a founding partner of Shehadeh Giannamore, PLLC, where she heads the Firm’s Food and Drug practice, in addition to overseeing other areas within the Firm. In addition to being licensed to practice law in the State of Florida, Ms. Giannamore is admitted to practice before the United States Courts of Appeals for the Third Circuit and the Eleventh Circuit. While Katherine’s primary focus is providing FDA regulatory consulting services and related regulatory guidance directly to clients, Ms. Giannamore has also completed several speaking engagements, where she works to help those in the industry understand the legal background of various FDA-regulated areas. These speaking engagements have been on the topics of gluten-free labeling of foods and major allergen labeling under the Food Allergen Labeling and Consumer Protection Act, among other related regulatory topics.